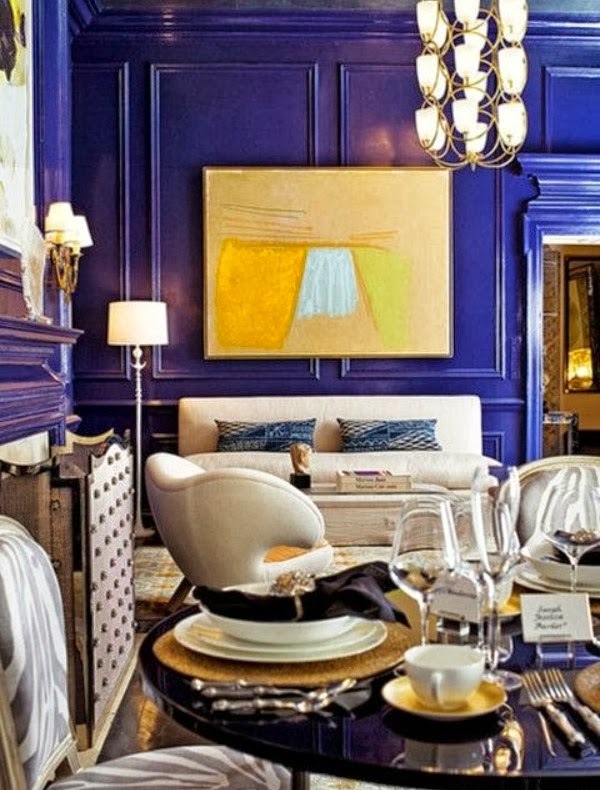 Cobalt blue is a rich, bold color. It has been trending in the fashion world for a while now, which I love. I am still on the search for that perfect cobalt blue bag. Cobalt blue is such a statement color that anyone notices it even on the smallest of jewelry items. It is a color that you can easily transition into any season be it a sundress in Spring, a swimsuit in Summer, a sweater in Fall, or a coat in Winter. My obsession with finding that perfect cobalt bag has lead me to thinking about cobalt blue as a home decor color. At first I envisioned beautiful lamps, curtains, and bedding. Then I thought, "Why go small? 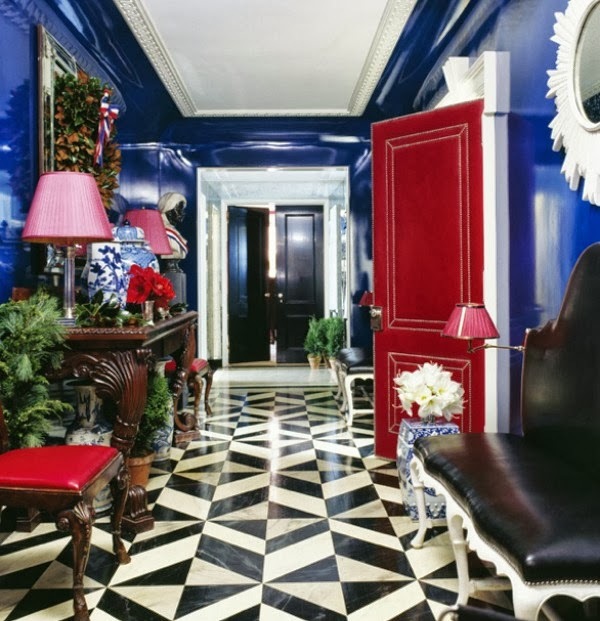 Why not paint a room cobalt blue?" 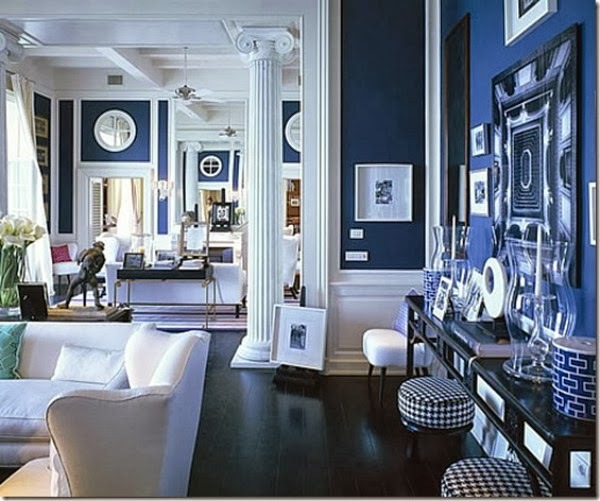 I would love a cobalt blue room in my dream house. Wouldn't you? I imagine a cobalt painted room and then keeping the majority of the other items in neutrals like white and gold. What are your thoughts? 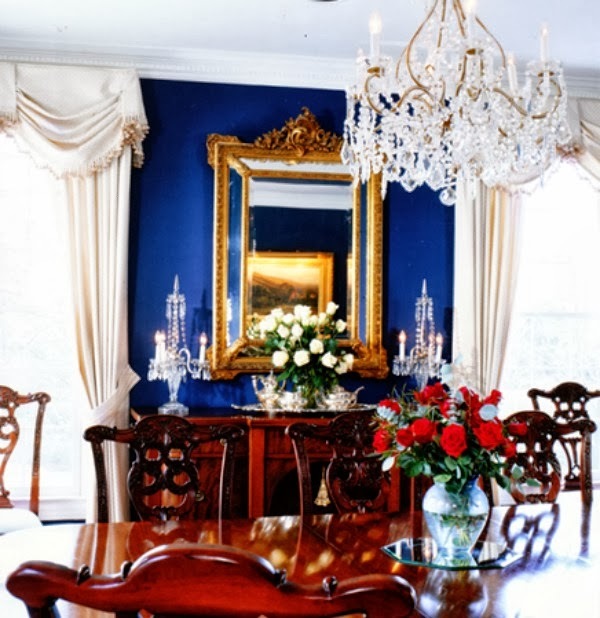 If you had a cobalt blue painted room, what color would you want the items in the room to be? 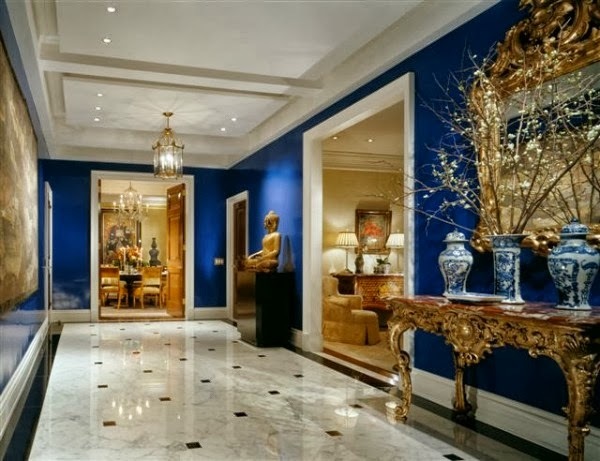 Cobalt blue is one of my favorite colors1 I love how great it looks with cherry wood and gilded mirros in that one picture.